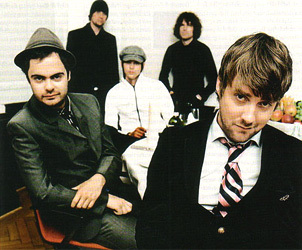 Kaiser Chiefs have announced supports for their mammoth 21 date UK tour for January and February next year. All The Young, Frankie And The Heartstrings, Fixers, Club Smith and Native Tongue will perform on selected dates below. The tour follows the band’s re-emergence this year with new album ‘The Future Is Medieval’, a host of UK festival appearances including a euphoric return to Glastonbury, V Festival, some superlative shows on the European festival circuit and two huge outdoor shows at Leeds Kirkstall Abbey last month.